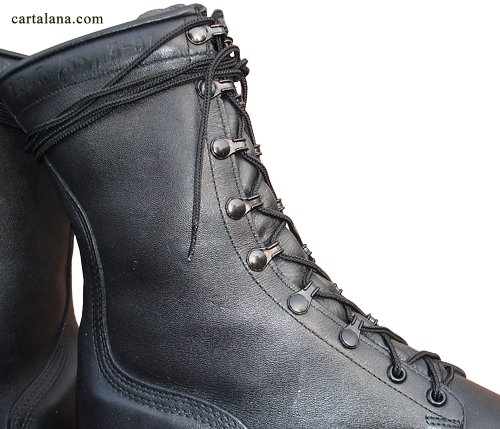 The size and widths information, the manufacturer's code (contractors initials) and the date of production are hot-press stamped into the leather around the top cuff of the boot (on the inner sides of the padding "collar" of the boot's upper). There were sizes for women and men, from 3 to 14 (American sizing), each of them had five width options: XN, N, R, W and XW. 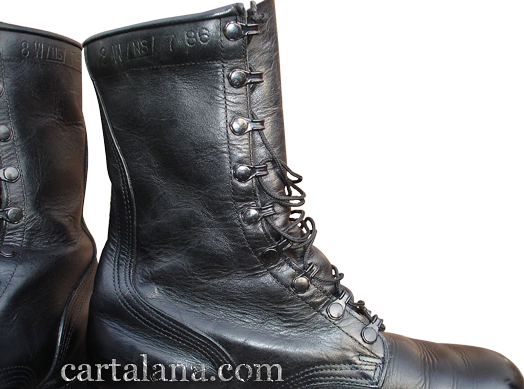 The height of these boots is 10 7/8 inches, or 27,6 cm. The National Stock Numbers (NSN) for these boots were: 8430-01-198-1331, 8430-01-198-1427, 8435-01-221-3278, 8435-01-364-7089, 8435-01-366-3198. - Manufacturing dates are July 1986 and April 1997". Among the other examples of US Armed Forces Contracted footwear manufacturers codes, one can't help mentioning such respectful company as "Altama" (code "PJ"), founded in 1969 in Darien, Georgia. On the stamp one can see: 11W /PJ/ 4-97 - size 11 Wide, manufactured in April 1997. 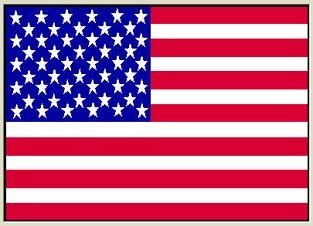 "Wellco" and "Altama" are among the best footwear research, develop and manufacturing companies, which were contracted suppliers of the US Ministry of Defense for decades. Since mid-August, 2014, these companies are a part of their new owner - "Original Footwear" company, which also purchased most assets of "Tactical Holdings and Operations Inc". Before the end of WW II, the armed forces of the United States had no wide-spread specialized footwear for hot, humid and wet climate, though American troops were engaged in many campaigns in jungle terrains, which involve constant exposure not only to heat and water, mud and sand, but also to bacterial and fungal infections and hazardous insects. The standard high and low combat boots made of leather were definitely not suitable to wear in such environment nor comfortable. As no boot could possibly keep out water and still provide sufficient ventilation to the feet in hot, humid and wet environment (i.e. to be waterproof and comfortable to wear at the same time), the idea of the boots for jungles consisted in letting the ingress of water into the boots easily and permitting perspiration to drain, drying the feet while preventing the entry of mud, sand, small pebbles and insects as well.